"I'm just a surfer who wanted to build something that would allow me to surf longer." "Red Muze is the prevention and cure for any rash. When I'm on the jet ski all day and I don't have to think about a rash it helps me keep my focus on saving lives!" "Working as a lifeguard on the North Shore is a very demanding job. We are in and out of the water all the time in varying conditions. Training on a variety of different equipment on a regular basis can lead to chafing or a wetsuit rash. Red Muze provides soothing comfort and relief and is safe for the environment. A must for the serious water person." "I use Red Muze on my pits and on my neck whenever I surf in a wetsuit. I also use it on my pits when I swim without a suit. It helps prevent rashes and leaves your skin feeling good." "The first thing I do before paddling out is cream up my armpits, so that after an hour or two session my armpits aren't torn up by a rash. It's very necessary to do this if I want to surf again that day or even the day after, so that I'm not hurting. Plus, I can wear deodorant after--other people thank me for that." "Red Muze helps long days on the water, stopping a rash in my pits, as well as around my waist from my harness." "I use Red Muze pre surf to prevent rash. It helps me enjoy more time in the water without feeling the burn of chafed pits." 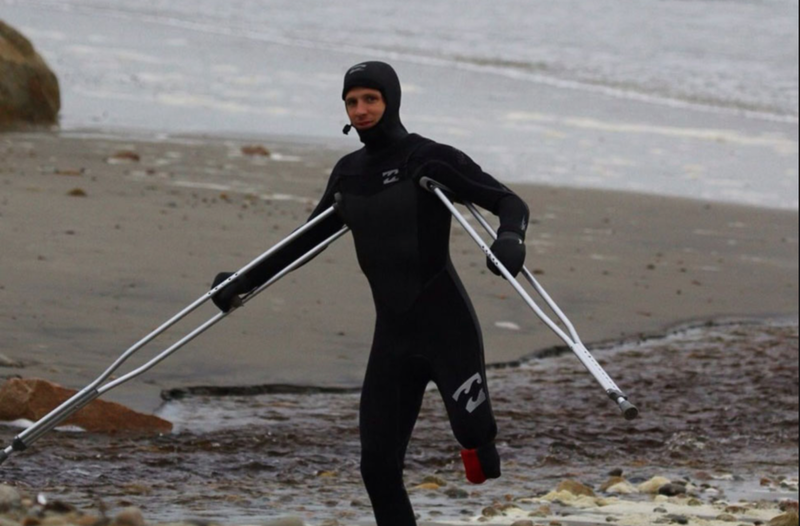 "Not only do I use Red Muze to provide relief from wetsuit rash to surf hours on end, I use the cream on my skin in my prosthetic leg to provide much needed anti-friction and rash relief after losing my leg above the knee from a shark attack. It allows me to continue surfing and living life to the fullest. "I use Red Muze on sensitive dry skin, and on my rashes and cuts. It's gentle and very effective. It keeps me in the water."